It may not be for children, but it's the most perceptive film about childhood in ages. Near the end of Maurice Sendak’s classic Where the Wild Things Are, as young protagonist Max is abandoning the fantastical creatures who have crowned him their king, the Wild Things plead, “Oh please don’t go--we’ll eat you up--we love you so.” The line neatly captures one of the central insights of Sendak’s slim masterwork: the close proximity in the preadolescent mind between affection and aggression, between the loving and the eating. Spike Jonze’s film adaptation, which he co-wrote with Dave Eggers, expands Sendak’s tale considerably, but rather than lose track of this insight, the movie enriches it. The result is a mesmerizing fable, a probing, occasionally discomfiting, exploration of the childhood psyche. Jonze’s Max (Max Records) is, like Sendak’s, an angry boy, but the particulars of his discontent are gently unpacked: a divorced mother (Catherine Keener) juggling work and parenting; an older sister, Claire (Pepita Emmerichs), who ignores him; a resulting reservoir of loneliness aching to be filled with attention. When Max asks Claire to look at the snow fort he has meticulously carved in the wake of a street-plow, her response--“Max, go play with your friends”--lands like a slap: There are no such bodies in evidence. Even when Max merrily engineers a snowball fight with Claire’s pals, it ends in tears. These early scenes capture with painful immediacy the anarchic emotional energy of childhood, the way exuberant joy can turn, in an instant, into fury or despair before burning itself out. Jonze conveys, too, the related mix of reverence and possessiveness, of I’ll-do-anything-for-you and Do-this-for-me-now, that a child fixates on a parent. The former is presented in a simple yet immensely evocative Max’s-eye-view scene in which his mother tries to work as he watches from the floor beneath her desk; the latter, in the tantrum Max throws after he spies Mom kissing a date on the sofa, an outburst that concludes, not with an idle threat to eat her up, but with an actual, out-of-control bite. Clad in his wolf-suit pajamas--possibly the most famous nightwear in literary history--Max flees the house and heads into the woods where, as his furies subside, he discovers a beckoning ocean and a trim, little boat patiently awaiting. After a tempestuous voyage, he reaches a rocky shore and soon encounters the giant, animal-headed Wild Things, who at the outset are carnivorously nonplussed about his arrival. But he impresses them in due course (though, in contrast to the original, this requires a bit more than “staring into all their yellow eyes without blinking once”), and they declare him their king. In Sendak’s book, the Wild Things were a nameless, undifferentiated crew, broad expressions of the fractious, uncontainable passions of childhood. Extending the conceit, Jonze and Eggers give each one a name and, more important, a role to play in a vast, amplified allegory of Max’s home life: Carol (James Gandolfini) is Max’s id writ (very) large--generous and eager to belong, but easily wounded and prone to destructive fits of rage; Alexander (Paul Dano) is the lonely boy, eager for attention; KW (Lauren Ambrose) is the absent sister, more focused on distant friends than her family; Judith (Catherine O’Hara) is the nagging voice of pessimism and doubt. Max’s life with the Wild Things bears a more than passing resemblance to his former one: building forts (though on a considerably grander scale), exchanging tokens of affection, conducting dirt-clod fights, and generally trying to construct a zone where, in Carol’s words, “only the things you want to happen would happen.” But this wild rumpus, like any, can’t go on forever and, as it descends into bickering and hurt feelings, Max discovers that “king” is merely “parent” by another name. It would be difficult to overstate the fierce originality of Jonze’s vision. 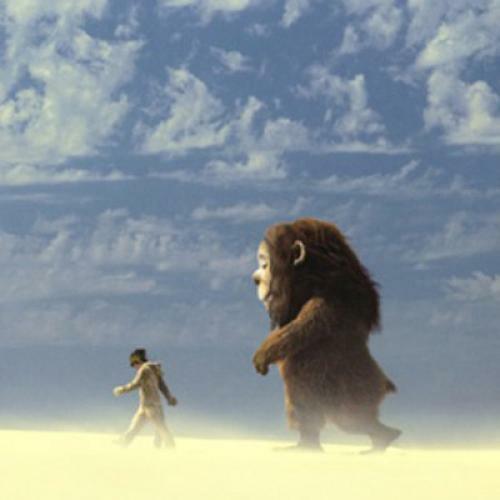 The Wild Things themselves--which the director insisted rely on costumes and puppetry, with CGI utilized only for facial detail--are a marvel: shaggy titans with easily bruised hearts. And while the latter parts of the film, in which these melancholy monsters serve as a vehicle for Max to work through his boyish angst, won’t be to all tastes--these scenes are self-indulgent in exactly the manner of childhood--there is an unmistakable tenderness to nearly every frame. It’s true, as a host of naysayers have been quick to proclaim, that younger kids may find the film frightening and emotionally confusing, and older ones may become bored when the early pandemonium gives way to quieter, more conflicted moments. But this category confusion does nothing to diminish Jonze’s achievement. Where the Wild Things Are may not be a great film for children (or, at least, most children). But it is something rarer still: a great, and unsparing, film about childhood. I’ll eat you up, I love you so.